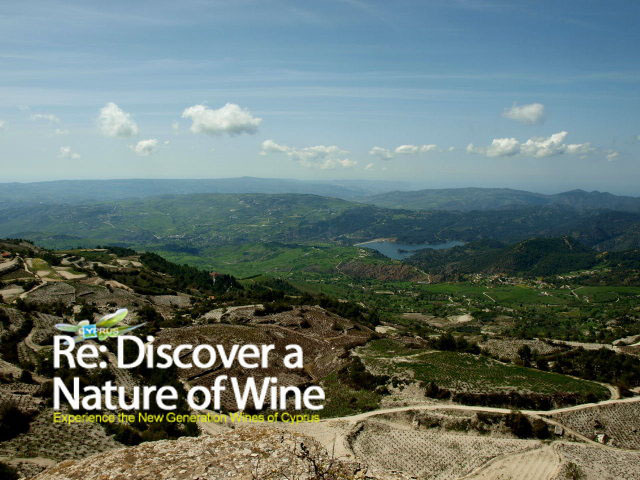 What has cycling, vineyards, wine and altitude have to do with Cyprus? On paper, apparently nothing. Following the path from the Alps to the Caucasian mountain tops of Georgia, there is an adventure to be made to the remote winemaking and vine caring regions of Europe. Inspired by a CERVIM collaborator through the Rhône Chamber of Agriculture, Mickaël Olivon, will take him on a route to to understand high altitude Viticulture, their climate, topography their soils and human task in the adventure of cultivating vines at such challenging heights and wine regions remote to industrial winemaking. This is an effort that focuses on binding mutual experiences and federating know-how to put into value the uniqueness of winemaking. But as you can observe from the red-dot line, there is a slight glitch to the diagram from this position which I slightly find annoying. None of this explorative trip will come in touch with viticulture as practiced in Cyprus such as Panayia and Pitsilia wine regions. The question we put forward today: If to knowledgeable professionals you’re not making it on the map to be visited, explored and understood for it’s uniqueness and singularities- Are there higher chances to be on the wine tasting map of consumers? Isn’t progress in wine appreciation today about cultivating uniqueness and singularities? I’m not asking how we have come to this and who’s responsibility this is, I’m only signaling out a symptom of a reality as seen from the outside. But is it a reality we wish to change? Because we can talk about high altitude viticulture, terrasses, soils, terroirs and even highest altitude wineries, but if we’re not on the map, this can be too easily be confused with cheap talk and waist of opportunity that no ProWein event can compensate. So while we work on these and many other issues, I do invite you to explore the work of the Cervim (Centre de Recherches, d’Etudes et de Valorisation de la Viticulture de Montage) presided by François Murisier, who’s bi-anual symposium brought together last year more than 600 wines to compete according to specific mountain viticulture – and do follow the Baïchus Tour throught the links provided below in hope that more tours such as these can also be pursued on the island. As it is still bottling season do join us in wishing Good wines and Kαλά κρασιά σε ολους. We are happy to announce that Mickaël Olivon will be in condition to foresee the Baïcchus tour of mountain viticulture to be coming in Cyprus around February 2014. Great news confirmed to us by email.